Rashi: שתהיו עמלים בתורה that you will toil in Torah. At that point, R’ Chaim left the Beis Medrash. As we know, R’ Chaim was appointed as Rosh Yeshivah because of his intellectual integrity and brilliance. Shimon Ha’amsoni inexplicably stopped. He was unwilling to attempt to compare or add to the concept of fear of Hashem with anything. Going further, Shimon Ha’amsoni regretted all the את explanations that he had given, to date. Expressing incredulity, his students asked why Shimon had abandoned the other explanations—what about all the toil in Torah that he had exerted and now seemingly abandoned, was this all for nought? Shimon Ha’amsoni answered that just as he had received reward for teaching, he would receive a reward for quitting! 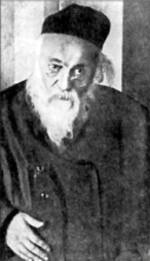 The Maharal in his Chidushei Agados on Bava Kama ibid asks an obvious question: one can understand that he would be rewarded for quitting because that would entail not providing incorrect information, but what about all the previous explanations of את, given that they are wrong why should he get a reward for these? The Maharal explains that from this story we say that עמלה של תורה, the intellectual exertion involved in trying to nut out pieces of Torah, is important as an exercise in of itself. I reminisce to the days when I joined Kerem B’Yavneh and was learning with my Chavrusa in the morning. I had learned Gemora before at School but had never experienced trying to nut out the Pshat myself. It was hard. The only thing I allowed myself access to was a Jastrow dictionary (something I hadn’t known existed). Thankfully, the Shiur itself progressed at a snail’s pace. I found it easier to understand the intricacies of Shiur because these were pre-packaged, pre-digested brilliant expositions around the Gemora, Rashi, Tosfos, Rishonim and Achronim. For me, though, understanding a Tosfos after the Gemora was sometimes impossible. My biggest enemy was the dreaded “short Tosfos”. They were often the most challenging. Initially I also feared a large Tosfos, but soon learned that these were the “good ones”. We had a Shoel U’Mayshiv (someone who would answer questions we might have) sitting near were we learned, but there was no way I was going to ask them simple Pshat in a Gemora or Tosfos. That would be giving up and finding a short cut. I couldn’t do that. I recall sitting there for hours and hours agonising over one line in silence. One weekend, when I went to Yerusholayim for Shabbos, there was a lingering Tosfos that I couldn’t crack and it was playing on my mind. I had heard that there were a series of new Seforim called מי מנוחות that expounded Tosfos on selected Yeshivishe Mesechtos, in easy-to-read Ivrit. Standing in the book shop in Meah Shearim, I crumbled with weakness and asked the shop owner if he stocked מי מנוחות on the first Perek of כתובות. He pointed it out to me, and I quickly leafed to the Tosfos that was eating me alive. I read the explanation and smiled, thinking, how easy is this! I resisted the temptation to buy the Sefer, and went on my way. By Sunday morning, I had forgotten the fine points I had read, and I was back to almost square one. I didn’t realise it then, but I found out later that each phrase or sentence or paragraph that I sweated over, stayed with me. I gained life skills and confidence and was able to assimilate more and varied Seforim as time passed. This period, regrettably, comprised only a comparatively short part of my life, but the mode of learning left an indelible mark. In retrospect, I’d identify that experience as עמלה של תורה, the intrinsic toil involved in learning Torah. R’ Chaim Brisker and Shimon Ha’amsoni toiled in the Torah that they had expounded. There is a reward and that reward is not always apparent. Perhaps for this reason the word חוקה a deep engraving is also used in the opening of the Parsha. When ones toils, the resultant imbues neurones in a more indissoluble manner. Fast forward to our new world of Artscroll-translated Gemoras. This is an unequivocally wonderful and masterful production. What it has also provided is a “quick fix” for the student of Torah. The world of instant sms, facebook, twitter, whatsapp, viber and so on precipitate an immediate and pressing connectivity—an unending, snappy provision of information . There is no need to wait or wonder. Today’s youth is perhaps less willing to “sit and struggle” with a text when there is a ready-made, pre-cooked, “just warm me up in the microwave” solution. Perhaps what we have lost is potential עמלה של תורה. I will provide timely rain, and ample produce for the Land, and you will eat your bread and be satiated, and you will dwell in safety in your Land, and I will cause peace in the Land, and you will chase your enemies, and I will plant my sanctuary amongst you. The עמלה של תורה creates reward for all the nation of Israel, in plural, and not just a singleton. An explanation of this will need to wait for another post. Your opinion is true, but there is anothe aspect. After Rashi made the Pshat Gmara accessible, the Tosafot could take their turn, and build another floor of understanding. Sometimes, makeing the work easier is like give the next generation building bloks for new learning style. Touche, Yes the Artscroll Schottenstein Gemara series is a masterful work, and yes it has opened up the world of Talmud (rather than gemara) to many to whom it probably would have remained closed. But though it has facilitated a superficial limud haTorah I would suggest it has not contributed greatly to genuine limud haTorah, or as you call it ‘Amul baTorah’. If all a person does is look at the English translation straight away without even trying to figure out pshat in the original then there has been little genuine effort expended and the gain will be similarly short-lived. I would like to suggest that the Keharti Mishnayis has made a far greater contribution to true limud haTorah with its beautifully concise and lucid style. It almost draws the talmid into learning for him/herself and then the resulting satisfaction of having learnt in Loshen Hakodesh far out weighs the immediate ease of reading the Artscroll Gemara in English. 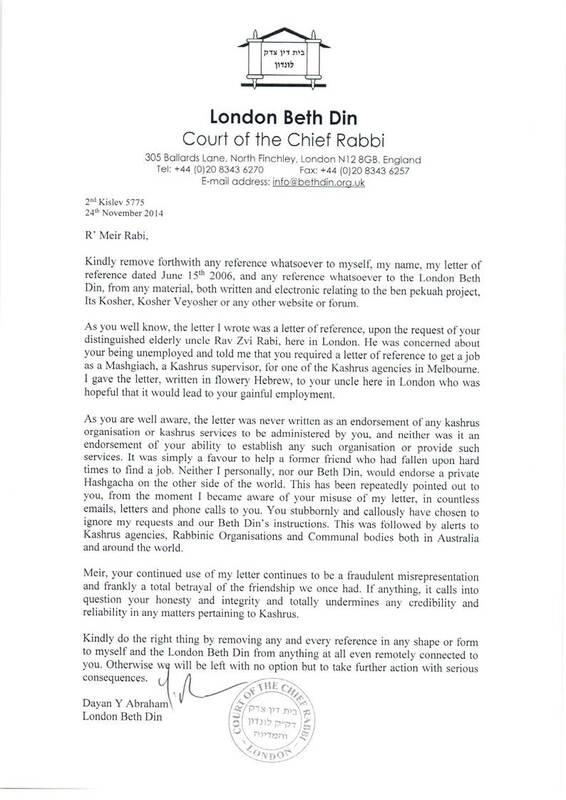 Furthermore, the Keharti Mishnayis was the work of one individual, a ba’al habayis who worked for a living! Compare that with the multi-million dollar project of a full-time team of rabbonim and researchers employed to put out the Artscroll Gemara – No comparison. Yes, I also was enticed by the ‘Mei Menuchos’ ‘cheat’ books to Tosfos and though you got to the pshat, you knew that you hadn’t earned it through your own efforts. Similarly with Artscroll. However, now the genie, so to speak, is out the bottle and we have to use it in the best way possible to enhance limud haTorah. Next Next post: Is this the way to effect kiruv?